No one likes to think about, let alone discuss, a premature passing. The unfortunate reality is that accidents happen every day. 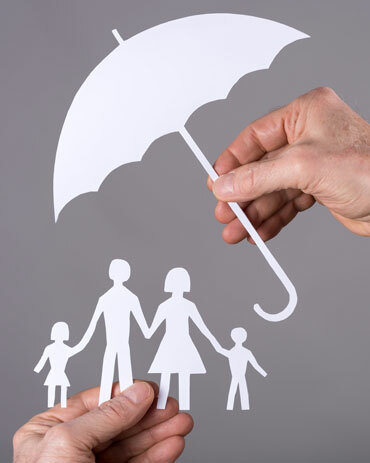 The purchase of a life insurance policy allows your family to have financial security. At Goodin Insurance Agency we’ll work with you to keep your family protected in the event of your untimely death. A proper Life Insurance policy can give you peace of mind knowing that your finances and beneficiaries are secure – from temporary to permanent coverage. At Goodin Insurance Agency, we understand that as things in your life change, so will your financial and insurance needs. That’s why it’s important to review your Life Insurance options with a specialist you can trust. We provide life insurance near Sioux City, Dakota Dunes, North Sioux City, South Sioux City, Sergeant Bluff, Sloan, Salix, Hornick, Whiting, Hinton, Lawton, Bronson, Le Mars, Moville, Onawa and Surrounding Areas. Protect what matters most in your life with a policy from Goodin Insurance Agency.